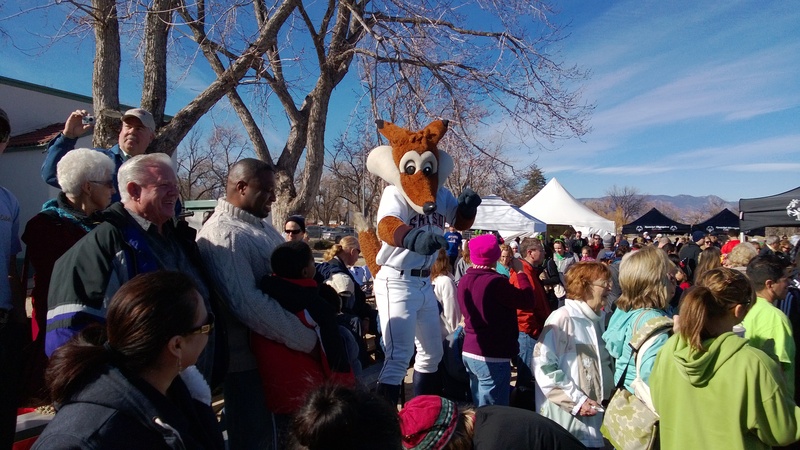 This past weekend was very busy for Sox the Fox and the Sky Sox. The Sky Sox started off the weekend by attending the American Heart Association’s Go Red for Women Fashion Show at the Macy’s at Chapel Hills Mall. The fashion show featured people of all ages wearing red to promote awareness for heart disease. 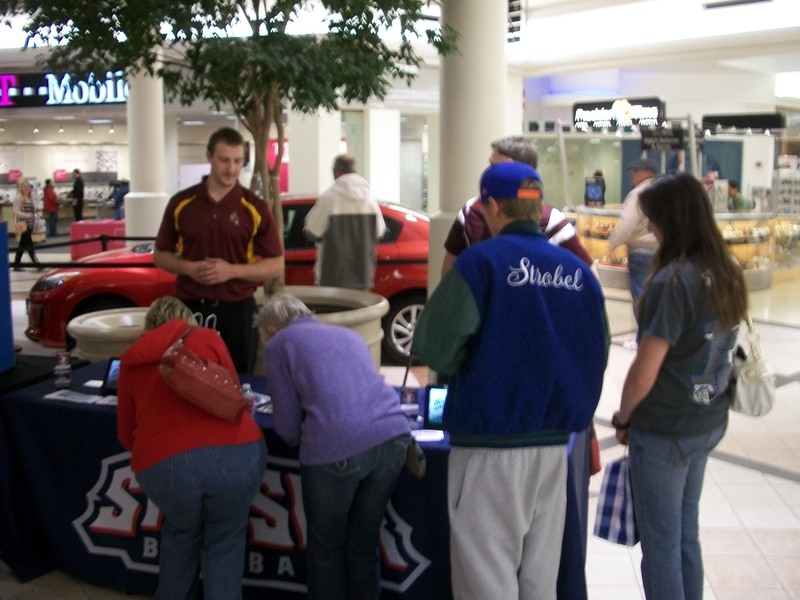 Fans crowd the Sky Sox table at the American Heart Association’s Go Red For Women Fashion Show at the Macy’s at Chapel Hills Mall. The next day fans could find the Sky Sox at Prospect Lake and the Air Force Academy. Sox the Fox headed to Prospect Lake to support the Special Olympics Polar Bear Plunge! 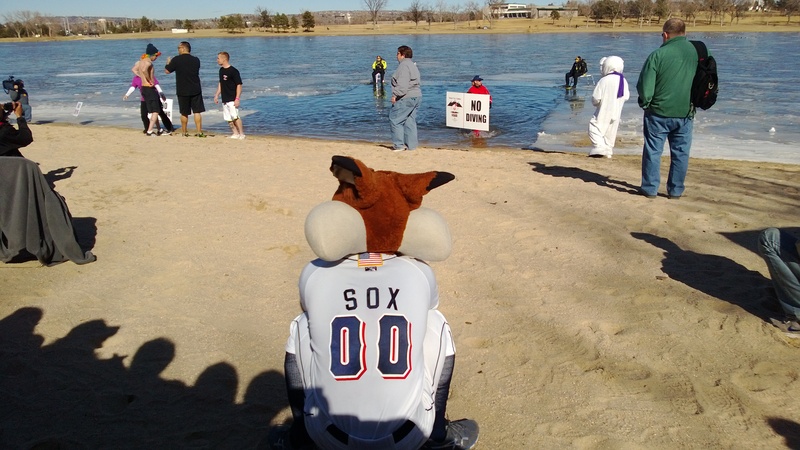 While Sox didn’t plunge he did cheer on the participants as they dove into the icy cold water. Sox cheering on the participants as they plunge into Prospect Lake. The third event the Sky Sox attended last weekend was the San Diego State vs. Air Force basketball game. Air Force fans packed Clune Arena and saw the Falcons knock off the #22 ranked Aztecs 70-67. The Sky Sox’ next event that they will be at is the Colorado Springs RV, Sport & Outdoor Show at the Colorado Springs Event Center. The Sox will be there all three days, February 15-17, so make sure to come out and stop by their booth for a chance to win four free tickets to opening weekend, April 4-7!